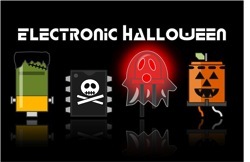 #ElectronicHalloween 2015 at Adafruit – 9/25 Update « Adafruit Industries – Makers, hackers, artists, designers and engineers! Halloween dress-up is fun and all, but it’s time for this to get…you know…really Adafruit-y. A prominent feature of the Wasp outfit as teased in the Ant-Man credits is the helmet. This is an opportunity we were hoping for to get 3D printing involved, and to bring our 3D guys Noe & Pedro Ruiz into the act, this is their medium. Thing is, we’re totally on opposite coasts, so it’s not possible to just pop in for a test-fitting…we’ll be collaborating remotely. The process began with a 3D scan of Erin’s head, created using an XBox 360 Kinect sensor (mounted on this nifty “Hammerhead” grip) and Skanect Pro software on a Mac. Being a “vintage” peripheral now, the Kinect can be sourced inexpensively on eBay. The software actually cost more than the scanner…though for this project, doing just rough fitting over the head and not a whole-body or form-fitting shape, the free version of Skanect (limited to 5,000 polygons) would probably be sufficient. If you have a Kinect, give it a try! Along with the scan, I took some rough measurements of Erin’s head for scale…width, height, depth…as there’s often an issue when moving models from one 3D program to another that the units are not consistent. One might confuse millimeters for meters, or for inches, so having these numbers to refer back to lets us know we’re in the right ballpark for scale. 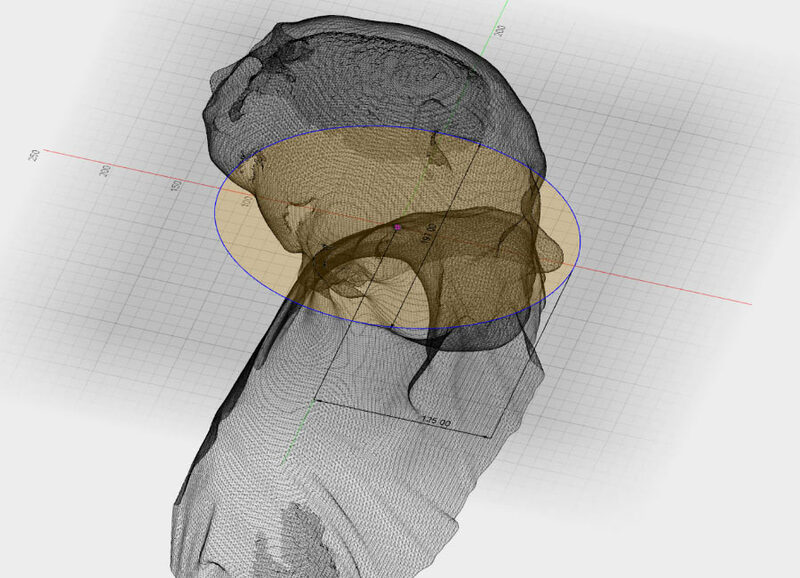 With the 3D scan file and dimensions, the Ruiz Bros first modeled a simple oval ring that should fit around Erin’s head. I could print that here, test it on her head, and if everything checks out (which it did) they can then proceed with modeling the rest, knowing that the scale is correct. They emailed these new STL files which I also printed here. Turning the helmet 45 degrees, it could just fit within the build plate of the Printrbot Plus. Test-fit again over Erin’s head and everything looks good, so they can go in and add further details now. This really excites my inner costume geek. In the past, something of this nature might’ve involved uncomfortable lifecasting and physically mailing large items back and forth. Not only does it show that this sort of bespoke wearable item can be created remotely — 3D fax, essentially — but it wasn’t even especially difficult. We didn’t invent anything new here, aren’t experts at this, nor was anything terribly expensive. 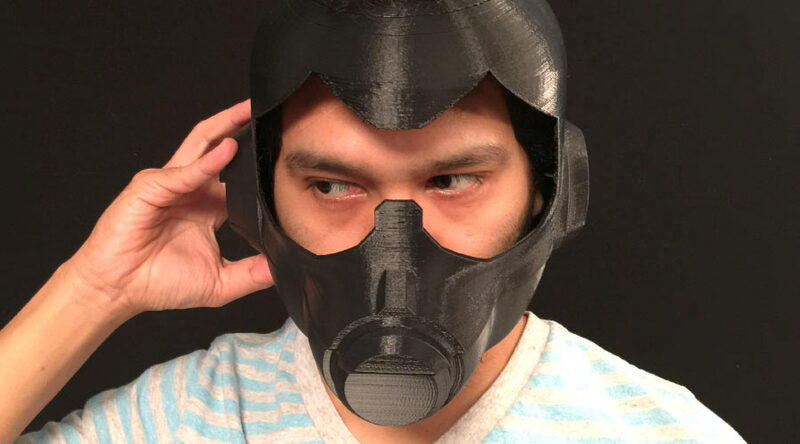 The most costly bit is the 3D printer, but as I’ll explain in a follow-up, if you do any cosplay type stuff it’s practically inevitable you’ll end up with one of these anyway.